The last trip on the East Coast by the Los Angeles Kings prove to be less than successful. Dean Lombardi, general manager of the LA Kings knows that and feels that his team to remain competitive in the Western Conference and defend the their championship, they must add some pieces to their core. The Kings have their current core in place until at least 2017-2018. Only a handful will become unrestricted free agent or restricted free agent in that period. So let’s face it, the Kings are not worried but they are looking behind them and ahead of them and see teams like the Winnipeg Jets, the Calgary Flames, the Vancouver Canucks the Nashville Predators as new players in the race for a playoff spot in the Western Conference. Despite their lacklustre East Coast roadtrip, they remain in the playoff picture. So what does Dean Lombardi need to tweak or change to solidify his playoff spot. he has three issues he will need to address primarily. The first one is the status of Mike Richards and what to do with him. 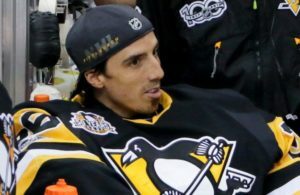 Second, he will need to address the contract extension for Conn Smythe winner last year, Justin Williams and finally the status of indefinitely suspended Slava Voynov who hasn’t played since October. In the background, Lombardi has Tyler Toffoli, Martin Jones, Tanner Pearson, Robyn Regehr and Jarred Stoll up for new contracts, next season. Mike Richards represent for Dean Lombardi, the odd man out at this point. 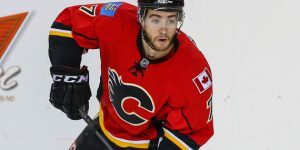 he is currently on a seventh year of a 12 year contract worth 69 million dollars, Richards has spent time at center on the third and fourth line last Spring. Trading Mike Richards would give Lombardi the cap space required to sign players like Williams, Tyler Toffoli and Tanner Pearson to long-term contracts. Also Richards, who has a cap hit of 5.75 million dollars salary, would likely get absorbed by another team. 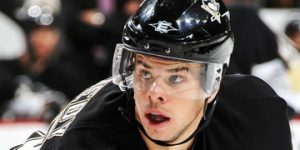 One team that could use Richards are the Boston Bruins desperate for a forward and his old team the Philadelphia Flyers. The Kings are not expected to trade Richards in the near future and the Kings will probably work a deal closer to the trade deadline like February-March timeframe. 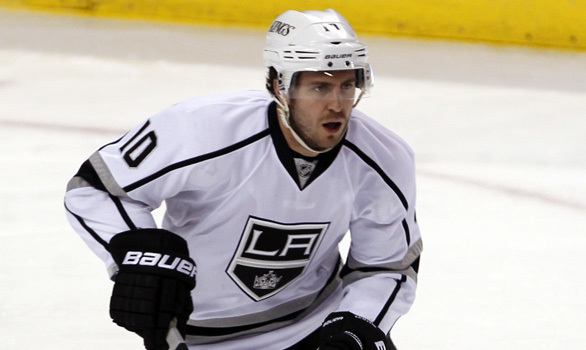 It is believed the Kings are already holding talks with other teams about Mike Richards. In the case of Justin Williams, Dean Lombardi is trying to come to terms with his 2014 NHL Stanley Cup MVP, but Williams will be asking for a substantial raise based on the big goals he provided at key times last playoffs. Lombardi is trying to reach a deal within the next two-three weeks but the Williams party has clearly stated through his agent that Williams will walk away from the table and focus on the current season. Talks would have to resume at season’s end and potentially the demands could increase if Williams perform like he did last Spring. The Kings who were stingy on defense last year find themselves with bigger holes on defense which has shown on their last road trip. With Voynov out and Willie Mitchell gone to the Florida Panthers, more ice-time is demanded from Drew Doughty, Jake Muzzin, and Alec Martinez which will catch up with them later in the season. Although the core is intact and long-term deals were reached with Martinez and Muzzin, keeping a championship team together isn’t easy. The Kings have right now, 8.8 million dollars in cap space and with an increase of potentially 4 million dollars to 73 million in salary cap hit, The Kings will have to move some players out. 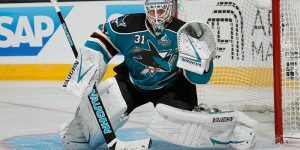 They may have to let go Williams and Stoll, both 32 years-old and unrestricted free agents next summer. Those are two players that Lombardi wants to keep but their salary demands may not fit for the future. The Winnipeg Jets who have had a decent year in the strong Western Conference find themselves with holes to fill on defence with the latest injury of Jacob Trouba. 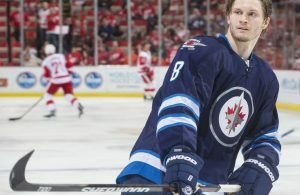 Trouba who was playing some solid hockey for the Jets was enjoying a breakout year before injury came knocking at his door, with 12 points in 31 games. For Paul Maurice and his Winnipeg Jets, the loss of Trouba was huge. The Winnipeg Jets were holding on to the last playoff spot, at the time and they may place in a position where they will have to acquire some depth on the blue line. They can’t afford to lose ground in the race for a playoff spot in the Western Conference. Trouba suffered an upper-body injury and will be out until February. Trouba joins already injured top defensemen; Toby Enstrom, Zach Bogosian. Enstrom and Bogosian are set to return in January at best. Although Kevin Cheveldayoff has expressed a lot of patience so far, injuries may force his hands to make a move. This proves to be a solid test for his depth on the blue line. Because of the short term objectives of acquiring help on the blue line, Cheveldayoff will be looking at a no.3 or No.4 defenseman. Do not expect a trade for top defenceman either. The Jets don’t have the money to spend either. Some teams do have a surplus of defenseman like the Montreal Canadiens Davis Drewiske who has 3 points in 21 games played with the Hamilton Bulldogs. Winnipeg and Montreal have been dancing partners in the recent past with a trade involving Eric Tangradi. 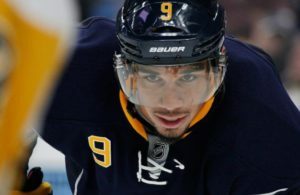 For the Jets – it is now or never in deciding what will happen. 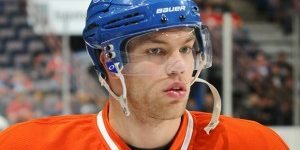 The market isn’t rich on defenceman and the teams will see Cheveldayoff coming a mile away. The Winnipeg Jets have acquired defenseman Jay Harrison from the Carolina Hurricanes in exchange for a draft pick.